In 1958, a private collector donated an Alexander Calder mobile to the Pittsburgh International Airport. Calder crafted the mobile, “Pittsburgh,” of aluminum and iron—two signature Pittsburgh metals. Shortly thereafter, officials at the Allegheny County Department of Aviation decided to have the black-and-white mobile painted in Allegheny County’s official colors—green and yellow. The county also reconfigured the 28-by-28-foot sculpture by adding weights to hoist up a portion of the mobile that it deemed as hanging too low and then attached a motor because, with the added weight, the mobile would no longer rotate on its own. Although these changes greatly annoyed Calder and he had not approved them, he had no legal recourse against the county. Because of this situation and others like it, the United States in 1990 enacted legislation, the Visual Artists Rights Act (VARA), to protect the “moral rights” of artists’ work. Congress enacted VARA as an amendment to the United States Copyright Act of 1976, and it brought the United States into line with much of Europe, which had for years protected artists’ moral rights. The term “moral right” comes from the French “le droit moral,” an 18th century French concept referring to spiritual or personal—rather than economic—rights. prevent, under certain circumstances, the distortion, mutilation, modification or destruction of the work of visual art. VARA provides its protection only to paintings, drawings, prints, sculptures and still photographic images in single copies or limited editions of 200 or fewer copies that are for exhibition only and that the author has signed and numbered. This protection exists for the author’s lifetime, and these rights cannot be transferred to another party. However, the author can waive these rights in writing. VARA does not apply to works made for hire; posters; maps; technical drawings; diagrams; models; applied art; motion pictures; or books and other publications and art produced primarily for commercial purposes, such as advertising, packaging or promotional materials. “Tilted Arc,” a 120-foot-long steel sculpture by Richard Serra, was installed at Federal Plaza in Lower Manhattan in 1981—before the enactment of VARA. Although the General Services Administration (GSA) had commissioned the art, an eight-year struggle between government bureaucracy and the artist culminated in the removal of the sculpture on March 15, 1989. Serra brought a lawsuit against the GSA seeking damages arising from such removal. He was unsuccessful because, among other reasons, he had signed a contract containing a clause permitting the GSA to remove the piece. Had VARA then been in effect, the outcome likely would have been the same because Serra had waived his right of integrity. Graffiti artists tried to protect their art under VARA when a building containing their murals and graffiti was slated for demolition. In a case involving the 5 Pointz building in Long Island City, New York, the artists invoked VARA but lost because the judge ruled that, although the artists had permission to decorate the space with murals, they “knew that the buildings were coming down” and therefore could not have expected that the work would be permanent. The court also concluded that, although the graffiti at 5 Pointz was visual art, it was not a “work of visual art” within the meaning of VARA and thus was ineligible for protection. Likewise, in the Carter versus Helmsley-Spear case, three sculptors—John Carter, John Swing and John Veronis—sued building owner Helmsley-Spear Inc., citing both the modification and the destruction clauses of VARA. The U.S. District Court granted the plaintiffs a permanent injunction enjoining Helmsley-Spear from removing, modifying or destroying the artists’ visual-art installation in the building that the company owned. However, on appeal, the U.S. Court of Appeals concluded that the artists were employees of Helmsley-Spear; thus, the works were made for hire and outside the scope of protection that VARA affords. The final decision vacated the injunction and resulted in the artwork’s destruction. An artist who receives a contract for a commission to create a public mural or sculpture must read the contract and understand what it does and does not cover. It may not address contingencies, such as the nature of the materials the artist or artists used, the need for maintenance or the demolition or renovation of the building in which the art is installed. In a case involving a building in Baltimore, cracks appeared in a glass sculpture that was commissioned for the lobby in the early 1990s. The building’s owner became upset, leading to arbitration that forced the sculptor to remove the work at his own expense and return the money he had been paid. 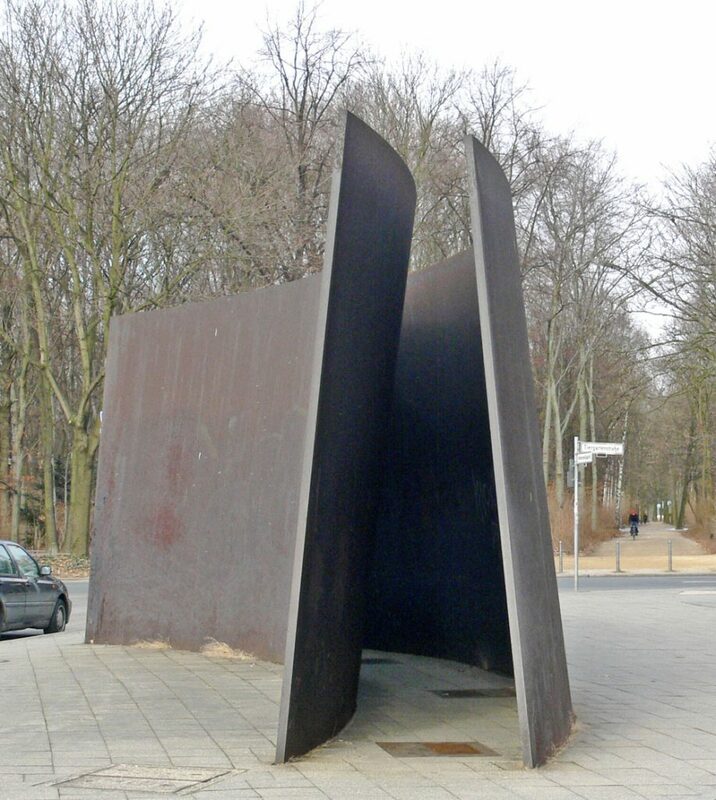 The sculptor had failed to disclose that cracks generally appear in the material that he used but that it would not compromise the structural integrity of the work. 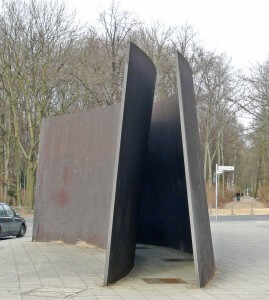 In a similar case, a sculptor received two commissions for public art, but the contracts did not contain a clause requiring the owner to provide routine maintenance of the sculptures. When the works rusted, they became a hazard to the public, and the city destroyed them for safety reasons. It would appear that letting a work of art deteriorate to the point at which an owner can declare it hazardous provides a loophole to the provisions of VARA, unless the contract provides a duty to maintain the work. On a brighter note, VARA was held to be applicable in the case of sculptor Jan Randolph Martin versus the City of Indianapolis. Martin had created a large outdoor metal sculpture on city land and had a contract that required the city to preserve the sculpture. After the city demolished the sculpture, Martin brought suit against the city for violating his rights under VARA. The court determined that the work was one of “recognized stature,” one of the key qualifying requirements of the legislation, and further held that the work was not a work for hire, which would have denied it protection under VARA. The court awarded the artist the maximum statutory damages, as well as attorneys’ fees and costs. Although VARA represents a giant step forward in adopting the European tradition of respecting and recognizing artists’ moral rights to visual works of art, it offers limited protections, particularly in the case of public art. Thus, it is critical that artists negotiate comprehensive contracts for both the proper attribution and the protection of the integrity of their works of public art. Likewise, galleries, museums and art collectors should be aware of the far-ranging implications of VARA, which apply to private art, as well.